In 2010, the foundation developed Greater Texas Foundation Scholars (GTF Scholars), a signature scholarship program designed for graduates of Texas early college high schools (ECHS) to successfully transition to a four-year institution of higher education and complete a baccalaureate degree. The program is the first of its kind in the nation. Participating universities include the following: The University of Texas Rio Grande Valley, University of Houston, Texas A&M University, and University of North Texas. The program includes a comprehensive external evaluation led by a team of evaluators selected through a competitive proposal process: Barbara Goldberg, Barbara Goldberg & Associates, LLC, and Kim Stezala, Stezala Consulting, LLC. The evaluation is both formative and summative. The ongoing evaluation has been vital in the implementation of the program as well as identifying areas for improvement that may have implications far beyond GTF Scholars, including college credits earned in high school transferring to universities and applying to degrees as well as general acclimation of ECHS students to a university campus. In spring 2015, 24 scholars visited the foundation for a three-day leadership development conference facilitated by Dr. Richard Cummins, Director of the Hollingsworth Leadership Program at Texas A&M University. In fall 2015, the universities welcomed the fourth cohort of GTF Scholars to their campuses. For more information about the scholarship program, please visit www.gtfscholars.org. To read the research behind GTF Scholars, look for the “Dollars for Degrees” reports by FSG under the Research tab at www.greatertexasfoundation.org. Each year, the foundation highlights at least one GTF Scholar in the annual report. 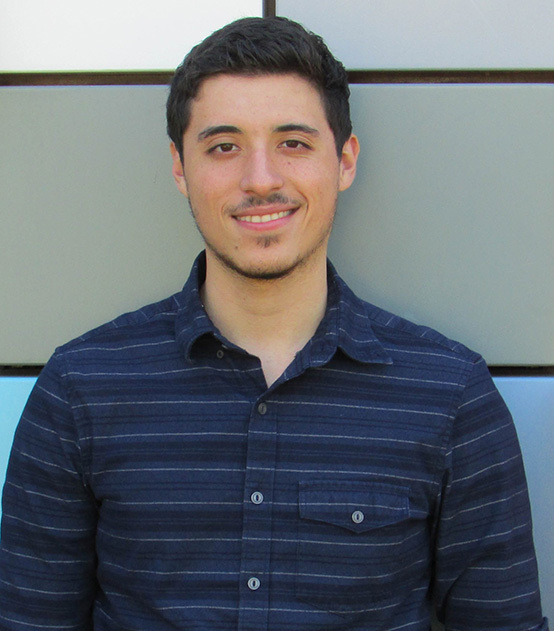 Please read on to learn about Joel DeLeon, a GTF Scholar from University of Houston. I chose an ECHS for a challenge. It was a difficult decision at the time. I remember being in middle school and wanting to go to high school with all of the friends that I had made there and how difficult it was for me to leave them to go to a new school, new environment, and new friends. In the end, it turned out to be a decision I would never regret. Having a college education allowed me to grow so much as an individual. Not only academically but socially as well. Through my college education, I had the opportunity to meet with so many faculty and staff who shaped me into the individual that I am today. As a first generation college student, having a college education also paved the way for my two younger siblings to see having a college degree as something that is possible. I just graduated with a Bachelor of Science in Teaching and Learning, and I plan to start teaching 7th grade mathematics this upcoming fall at Pilgrim Academy, a Houston Independent School District campus that serves students from K-8th grade. In the future I hope to become an educator for students wanting to become teachers like I did. Why did you choose to attend University of Houston (UH)? UH just seemed like the best choice school at that time. It was a very diverse campus, close to home, and was affordable enough for me to pursue an education there. I later learned that choosing to come to UH was one of the best decisions I ever made. What are some challenges you have experienced as a student at UH? Initially, it was a challenge adjusting to the large size of the campus. I came from a graduating class of 72 students, so stepping into CHEM 1301 my first semester in an auditorium of 400-500 students was something I wasn’t used to. It was also a challenge adjusting to the pace of the classes. In my ECHS, I felt that I was well prepared for the workload that was to come my way, but some of the courses I took at UH were at a faster pace than I was used to. Despite this, I created a system for myself that worked and was able to navigate through this obstacle later on. What are some of your successes as a student at UH? Mentoring other GTF Scholars has been one of the most rewarding experiences of my college career. As a graduate from Victory Early College High School, I was able to share with other GTF Scholars my transition into UH in hopes that they would understand that a lot of the feelings and frustrations that come with transitioning to UH were okay – that the mistakes or “bumps” that come along the way into our college careers are there to learn from. Being able to mentor others and offer any support that I could meant so much to me. I learned so much from each student’s transition into the university, and through mentoring them, I was not only offering help to them, but learning from their experiences helped me as well and made me feel like a lot of the challenges I faced were necessary for me to grow. One thing I learned from mentoring the GTF Scholars is that someone can tell you that what you’re going through is okay and completely normal, but actually talking to someone about their experience and being able to relate to them can really make a difference. Could you please tell us a little bit more about your position as peer mentor for Greater Texas Foundation Scholars? In my role as GTF Guide, I helped GTF Scholars navigate through academic and personal pathways to better transition to UH in their first year and beyond. The GTF program supports students who have the Greater Texas Foundation (GTF) scholarship. The students are graduates from ECHSs and are often first generation students. The scholarship program was designed to support their transition to and retention at UH toward timely graduation. There are three cohorts in the program adding up to 59 GTF Scholars, 23 of whom are first year students. To help students navigate through their academic and personal pathways, I held one-on-one student meetings, led small group peer-meetings, trained and guided other volunteer group leaders, and orchestrated and led monthly cohort meetings where all students from the cohorts would come together and meet. These were all firsts for the GTF program at UH. How has being a GTF Scholar helped you? Being a GTF Scholar gave me immediate access to network with other students going through a lot of the same challenges I faced early on at UH. Being a GTF Scholar also provided me with an opportunity to graduate from UH debt free. The aid offered from the scholarship program made it possible for me to pursue higher education. Through GTF, I also met my mentor, Dr. Heidi Kennedy, who helped me and guided me through so many obstacles during my time at UH. Without her help and support, I’m not sure if I would be in the position I am in today. You received Student Employee of the Year award at UH in part for your role as a mentor for the GTF Scholars program. What did it mean to you to receive that award? Receiving an award like that was something that is hard to put into words. I remember coming into orientation day at UH and feeling so small in a campus so large. I graduated from a high school with a graduating class of 72 students, so my orientation day was a little bit of a shock to me. Being recognized for an achievement like Student Employee of the Year is something that I would have never imagined, so receiving that award, with my family there to witness it, was an experience that I’ll never forget.